Happy Anniversary, WLAB! – Giveaway Winner Announced! Man. It seems like only yesterday I was writing last year’s post, sitting in bed on June 15th and realizing I was a day late. Let’s make up for that, shall we? 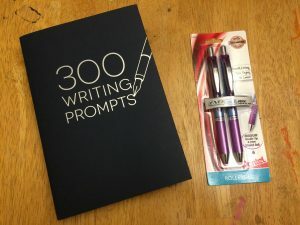 “300 Writing Prompts” journal, plus a brand-new pack of pens! Congrats to the winner! I’m so happy for you. 😀 You will get your prizes in the mail shortly! Have a cupcake! I’ll put my previously mentioned Writing like a Boss Fun Fact List (looks official, right? It’s not, but at least it appears so) in another post, for another day. A super-special thanks to my supporters, followers, and friends – without whom, I wouldn’t be here. Your support means the world! I’d also like to thank my dad, who manages my blog with me, for his patience. All those times you tried to convince me to turn off comments entirely because of the amount of spam we get, and I said no; and those times I annoyed you about helping me fix website bugs, and you did. Thanks so much! Happy anniversary, Writing like a Boss! Bonus: here’s a brief blooper reel! Because these things are fun. Oh, I was laughing so hard at the blooper video! You are so hilarious! Congratulations to the winner, and for your anniversary! I know that’s a huge milestone, being a writer myself and celebrating (in my own little way) every month the day I started my book (or different books). I hope you do another video soon, this giveaway was a big hit! Hilarious video, fun giveaway, and how great that I get to be the winner of the very first ever Writing Like A Boss Anniversary giveaway! Congratulations Makenna! I hope you enjoy the prizes you won! 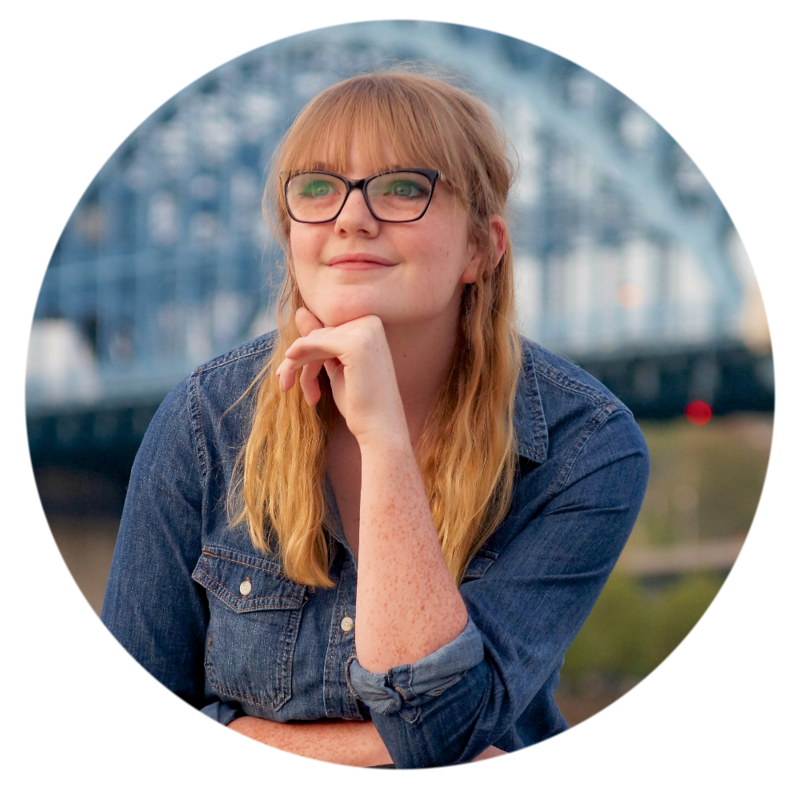 Happy Anniversary to you and your blog, Sam! Hi Sam, I had a question about my book. The main character is introduced right away, but no one knows if has any siblings or not. How long is it okay to wait to tell the readers that? If I was reading a book and found out that they had a sibling halfway through the book, I don’t really think I’d like that. Well, maybe. Anyway, I thought I would ask your opinion on this because I don’t know what to do. Thanks! A good way to bring up the siblings without blatantly being like “Hey, these guys exist!” is to have other characters mention their names in conversation. Maybe the parents mention something about them? Anyway, hope that helps! That does help! I get what you were saying, and it works. I was thinking of giving him an older brother that would be an adult, but he would tie in in the plot somehow. Not very drastically, but he’d be there. Any thoughts on that? The conversation idea was awesome too! Thanks! 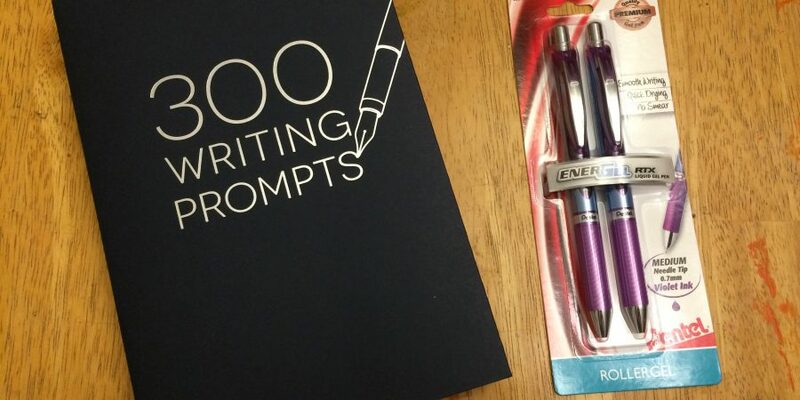 Previous Post “Writing like a Boss” Anniversary Giveaway: June 14th!